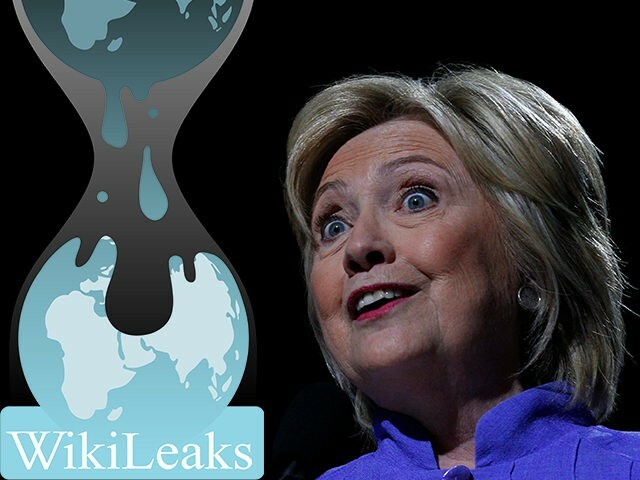 Here is a rundown of some of the biggest bombshells dropped by WikiLeaks’ disclosure of Hillary Clinton’s speeches and emails, and why each is so important. 1. Clinton dreams of a world with “open trade and open borders”: Every American should understand that Democrats, and plenty of Republicans, are fighting an all-out war against national sovereignty. Sure, Democrats want new voters, and Republican interests want cheap labor, but they also share a mutual desire to increase the distance between the Ruling Class and voters. In the globalist future, political and business titans will stand atop the world, without having to worry about fulfilling annoying duties to grubby little voters with nostalgic memories of the days when American politicians served America’s interests. Globalism means you’ll never be able to vote against anything. 2. Clinton courted business elites to support liberal agenda to beat back populism: Clinton’s speeches include numerous examples of something that’s hardly new, or unique to her, but a very important harbinger of things to come if she gets into the White House. Democrats serve their voters a steady stream of anti-business, anti-wealth rhetoric, but they’re keenly interested in using Big Business to promote the agenda of Big Government. Some of the examples in the leaked speeches, such as Clinton urging business interests to beat back the Tea Party and support open-borders immigration, are points of common interest with the GOP Establishment. 3. Clinton campaign coordinated with Super PAC: No one familiar with the WikiLeaks disclosures should be able to restrain their laughter when Hillary Clinton talks about getting “big money” and “dark money” out of politics. Then again, she should have been laughed off the stage for such tirades long before WikiLeaks started releasing her campaign’s emails. 4. Clinton admitted she has different “public and private positions” on Wall Street reform: Again, this shouldn’t surprise anyone, but it’s always useful to catch a politician actually admitting she isn’t honest with the public on issues – especially an issue of keen interest to the Democrats who opposed her in the primary. In the same issue, she admitted she’s out of touch with ordinary Americans and “far removed” from middle-class life, which is a refreshing bit of (unintended) candor from such a sanctimonious candidate and Party. Lastly, she said it was an “oversimplification” to blame banks for the 2008 financial meltdown, which is true – and greatly understating the truth of Democrat politicians’ culpability, at that – but not at all what Democrat hyper-partisans want to hear from their leaders. 5. Clinton campaign asked about using White House executive privilege to hide emails from Congress: “Think we should hold emails to and from POTUS? That’s the heart of his exec privilege. We could get them to ask for that,” John Podesta – current Clinton campaign chair, and former White House counsel – wrote to Hillary’s aide Cheryl Mills, even as the House Benghazi Committee was writing a subpoena for Clinton’s long-hidden correspondence. It’s absolutely shocking that Team Clinton would think Barack Obama was willing to abuse executive privilege to hide vital information from Congress. Wherever did they get that outrageous idea? 6. Clinton campaign looked for political support from “needy Latinos”: This is the perfect example of an email chain that would set the media on fire, if it came from a Republican political campaign. They seem to have been talking about Latino politicians who were needy, rather than herds of Latino voters, but they were colorfully insulting to some of those politicians. 7. Collusion with State Department on managing Clinton’s email scandal: It’s pretty clear from these emails that Clinton’s team knew she broke the law, but they were (justifiably) confident they could trump the rule of law with politics… and plenty of help from their good friends in the Obama Administration. Other emails illustrate the Clinton team’s conviction that all Democrat scandals can be overcome with distractions and delaying tactics, counting on that 90% Democrat media to be easily distracted, and to stay quiet while stonewalls are constructed. You will see more collusion and stonewalling in future Democrat Administrations, building on the precedents Barack Obama and Hillary Clinton established. The next Republican Administration that tries it will get a swift and brutal lesson in why scandal management only works when the administrative state and media support the party in power. 8. “Journalists” secretly working as enthusiastic volunteers for Clinton/Kaine 2016: Another one to file under “no big surprise, but still nice to see it on paper.” The American public needs to understand there is no real division between the government and media when a Democrat is in the White House, especially with this particular Democrat. The press loved Barack Obama and was childishly easy for him to spin at will, even during the queasy Fifty Shades of Grey stages of their romantic relationship, but the press is Hillary Clinton’s campaign. They’re her donors, Clinton Foundation contributors, and often her former (and future!) employees. If you didn’t think the media could be less interested in holding a president accountable than Obama, you’re in for a shock if Clinton wins. 9. 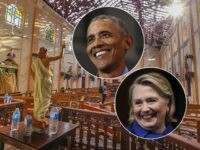 Planting the “seeds of revolution” in the “Middle Ages dictatorship” of the Catholic Church: Democrats view Christians in almost exactly the terms they adamantly refuse to apply to Islamic supremacists. They’re also very determined to infiltrate institutions that resist liberalism, subverting them from within, and destroying them if they refuse to be subverted. Check out the latest news about the National Football League for another example. 10. Clinton Cash panicked the campaign: They knew how bad this stuff was, and they wasted no time devising strategies to spin it away. They didn’t have much trouble convincing the press to stop bugging Clinton about the galaxy of Clinton Foundation scandals, did they? With Republicans, the media works hard to set up denials that look uncomfortable, or which they think can be demolished by later revelations. With Democrats, not so much. 11. Flip-flopping on TPP: It’s amazing than a single Sanders voter ever believed Clinton was honest about opposing the Trans-Pacific Partnership, but evidently most of them did, or else they never really cared about the issue as much as they claimed to. Leaked emails reveal how Clinton was not “comfortable” with attacking the trade deal she once gushed over as the “gold standard” for such agreements, but she knew she had to pretend to oppose it to placate union bosses and woo the Sanderistas. Clinton campaign staff talked about her “integrity” as though it were a stack of poker chips, deeming it reasonable to sacrifice a little integrity to keep the Sanders insurrection under control. 12. Gun control: cherry-picked data and executive orders: Democrats are going to lose patience with voter opposition to their gun control agenda and begin imposing it, as soon as they no longer have to worry about losing a tough election in the near future. They often worry about the potential backlash from Democrat voters in key states who support gun rights, but they’ll stop worrying about that soon, especially if Clinton does extremely well in those states. 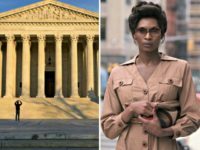 A packed Supreme Court will make her even bolder about chipping away at the Second Amendment. No one should be surprised that Democrats like to pick and choose which crimes the public should focus upon, in order to sell the gun control agenda. 13. Special favors for “Friends of Bill” in Haiti: The Clintons’ use of Haiti as a cash machine was disgusting. The hypocrisy of liberals willing to ignore this carnival of corruption, at the expense of an impoverished black nation, to slip the Clintons back into the White House is unbearable. The corruption of the State Department into a wholly owned subsidiary of Clinton, Inc. should be completely unacceptable. 14. Iran nuclear deal was “greatest appeasement since Chamberlain gave Czechoslovakia to Hitler”: This email chain quotes Republican Senator Mark Kirk of Illinois saying Obama’s nuclear deal “condemns the next generation to cleaning up a nuclear war in the Persian Gulf,” and Clinton campaign chief John Podesta responding, “Yup.” While the Democrats figure out how to spin that away, the rest of us can reflect that Clinton, Podesta, and other old hands in her inner circle probably have significant differences of opinion with Barack Obama and his teenage-punk approach to foreign policy. Obama and his weird little gang of young advisers thought it would be a great idea to do the opposite of everything his predecessors did, Republican and Democrat alike. The Clinton group worked in one of those preceding Administrations. However, Mrs. Clinton and all of her loyal retainers were willing to stifle their objections to Obama’s foreign policy in the name of party loyalty… even when those objections hinted at a future nuclear war. 15. Clinton wanted to run against Donald Trump in 2016: The three Republican candidates Clinton’s campaign thought they had the best chance of beating were Trump, Ben Carson, and Senator Ted Cruz. “We need to be elevating the Pied Piper candidates so that they are leaders of the pack and tell the press to them seriously,” said a memo sent to the Democratic National Committee. They were quite confident of their ability to tell the press which Republican candidates it should take seriously. 16. Clinton knew Libya was a disaster: Her hindsight about the bloody, world-destabilizing fallout from the overthrow of Qaddafi, and the inability of the new Libyan government to provide security for Americans, was 20/20… but what good does that do anyone, especially the Americans who died in Benghazi? It’s laughable to hear Clinton and her supporters brag about her great resume. Her resume is the world outside your window, and what she says about it to her big donors is very different from what she says to the general public. 17. “Foreign govt donors: all the money is in”: The Clinton team is much more relaxed about discussing big bucks from overseas among themselves. They don’t want the public thinking about how much support Clinton gets from foreign interests, or dwelling on how unsavory some of those interests are. They were reluctant to disclose all of those foreign donors to the Obama Administration as they promised. But the leaked emails show they’re very well aware of how important that imported cash is. This particular email seems to concern locking down foreign financial support for the Clinton Foundation, in case Mrs. and Mr. Clinton find themselves back in the White House next year. 18. Clinton Foundation audit reveals it may have misled the IRS: One of the perks of Clintonhood is that you can file taxes incorrectly, suffer no penalties whatsoever, and refile the paperwork years later. A 2011 audit of the Clinton Foundation requested by Chelsea Clinton discovered that, despite sworn statements to the IRS, the Foundation didn’t write or enforce the required conflict-of-interest policy… and, wouldn’t you know it, some conflicts of interest do seem to have cropped up! Two years later, long after Hillary Clinton resigned as Secretary of State, gift acceptance policies were still a work in progress.